With over 55,000 plugins available on WordPress today, how do you know what’s right for your business? You want to earn more, and you know some plugins can help you do it, but where do you start? Since nobody has time to review all the possible plugins for WordPress to find the best options, we’ve done the heavy lifting for you. It’s time to welcome a new year of earning more. Are you ready to work smarter not harder? 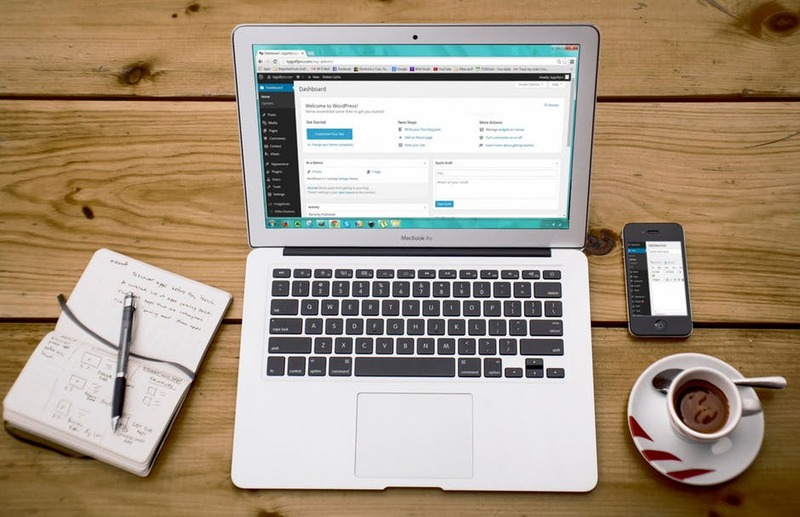 Then try these WordPress marketing plugins that streamline your marketing so you can earn more profit. First and foremost, you need a simple way for leads to contact you. 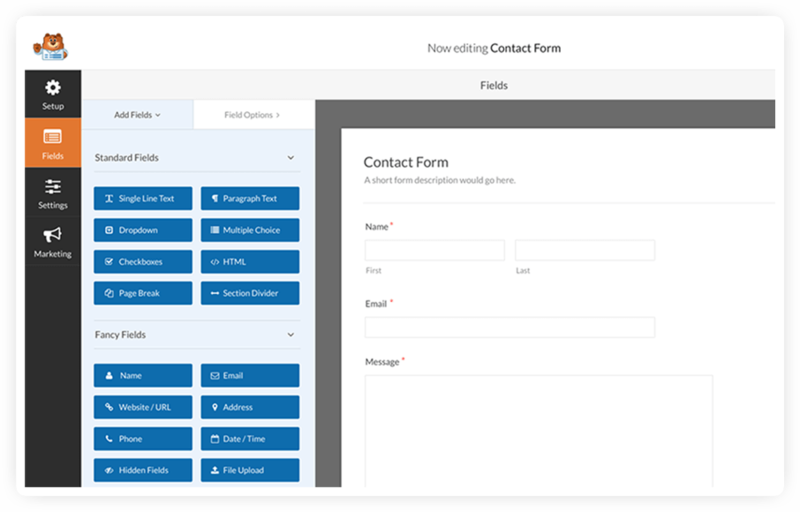 If your users can’t find an easy to use a contact form, they’ll likely just skip to a competitor. One mistake a lot of new businesses make is only listing an email address as a point of contact. While this is still a smart option, it shouldn’t be the primary way for most casual leads to gain contact with your business. Instead, use WP Forms. 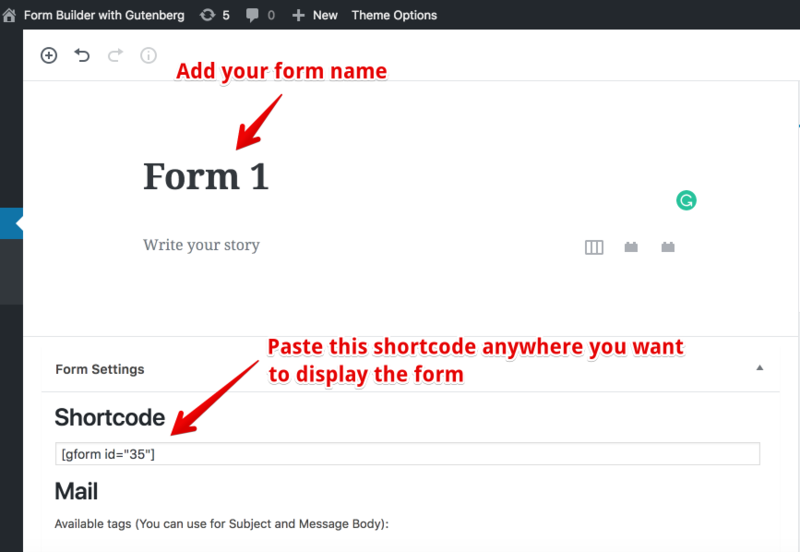 This plugin is a simple drag-and-drop form builder that makes it simple to build quality, easy forms that work. 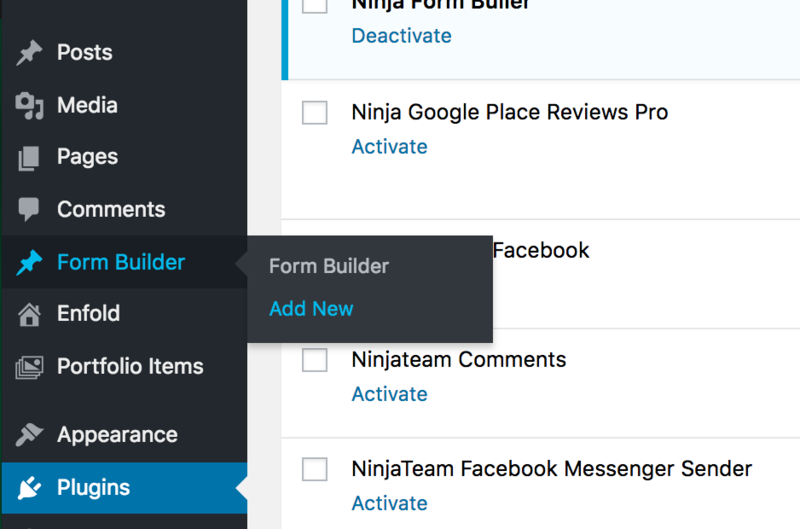 When a user fills out the form, you’ll get an instant notification to your inbox. 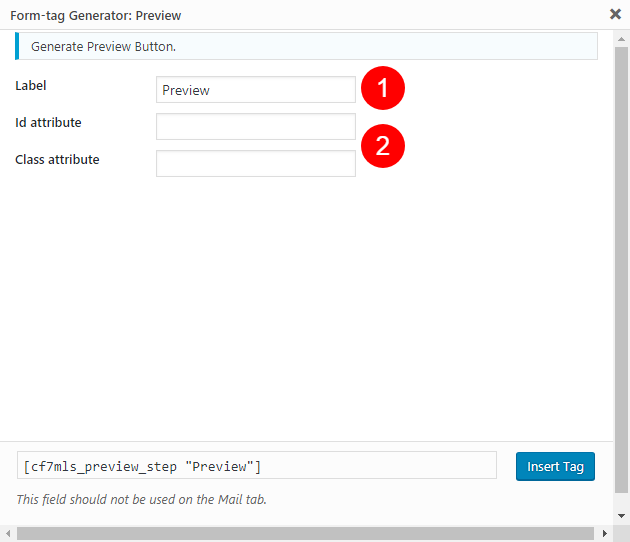 There are even added features like uploadable documents, HTML, and more. If you still don’t have a contact form, now’s the time to build one. Next, you need to make sure your marketing is secure. Your website might be at risk from attack by a hacker. The leading WordPress website management provider recommends using Defender. 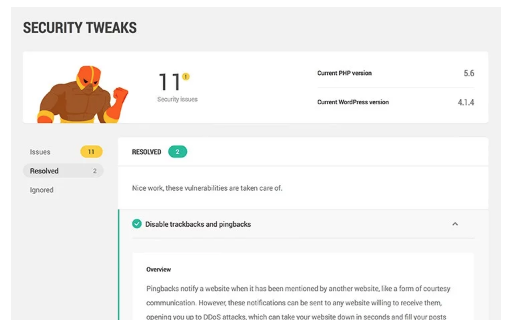 Defender is a WordPress plugin that fights malicious bots, brute force attacks, and more through security scans, reports, and 2-factor authentication. If you’re running an online business today, you can’t afford not to take your security seriously. Download Defender and gain some peace of mind. SEO isn’t just for big-name businesses. SEO or Search Engine Optimization helps you get your content in front of the right audience. The good news is, thanks to Yoast SEO, you don’t need any advanced development skills to drive traffic with SEO. With free, easy-to-use tools, Yoast helps you build a website made for both humans and search engines. Some key features include keyword optimization, readability check, and structured data. SEO is no longer optional, so make sure you’re creating a website people can actually find. If despite everything, you would prefer to try something other than Yoast, or you simply want to explore more options, you can rejoice. The web is swimming with both free and premium SEO WordPress plugins that are waiting for you to test them out. Along with your contact form, you need fast ways for potential customers to get their questions answered. While many people are turning to Chatbots, the easiest way to jump on this trend is with Facebook Messenger. 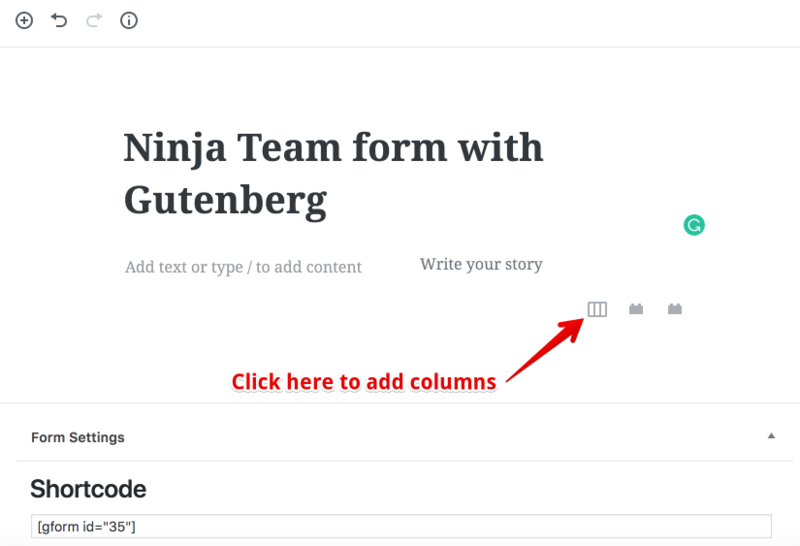 The NinjaTeam Facebook Messenger for WordPress (Live Chat Version) plugin adds an easy to use Facebook Messenger button to your website so customers can quickly get questions answered. Finally, to boost your email marketing, use OptinMonster on your website. This plugin is a powerful conversion optimization tool that helps you build more leads with less work. It’s perfect for businesses of all types, and it will grow your email list virtually overnight. With customizable popups, page sliders, and on-page signup forms, you’ll never lose a warm lead again. Your customers want to hear more from you. Give them a chance to join your email list that they won’t overlook. Let’s take a look at the cheapest email marketing software to boost your business. 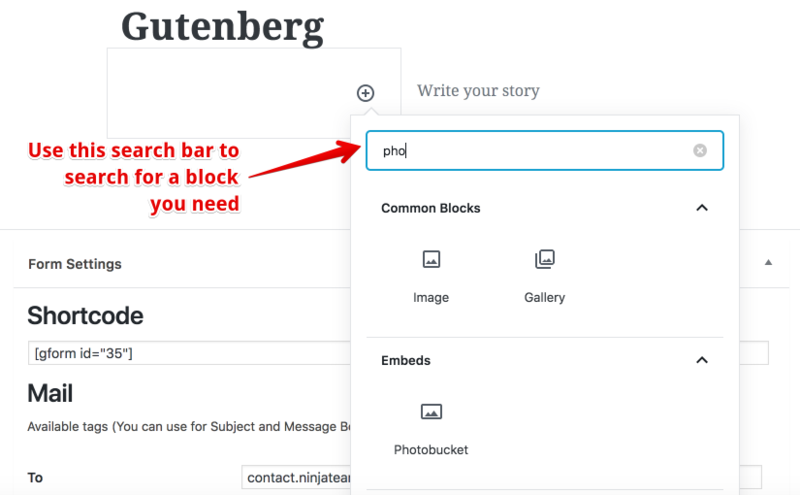 As you can see, WordPress has a lot of add-on plugins that really bring the experience up a notch. Whether you’re building an online business or an ecommerce store, you need a way to market to your prospective customers. With so many different options for online marketing, it’s hard to know where to spend your money and time. This list does that hard work for you. These are the best tools for increasing search engine rankings, boosting your email list, and connecting with customers. Your marketing has never been more successful. Try these for yourself to see just how quickly they lead to more profit for your business. Are you a big fan of shopping? How do you feel when the price of your favourite T-shirt or handbag is sharply reduced? Jubilant, right? That’s the reason why discount coupons are critically important in encouraging customers to make a purchase and boosting conversion rates. So who doesn’t love a good coupon? Truth be told, coupons are indeed useful for promoting your online store, reducing cart abandonment, and increasing overall sales. 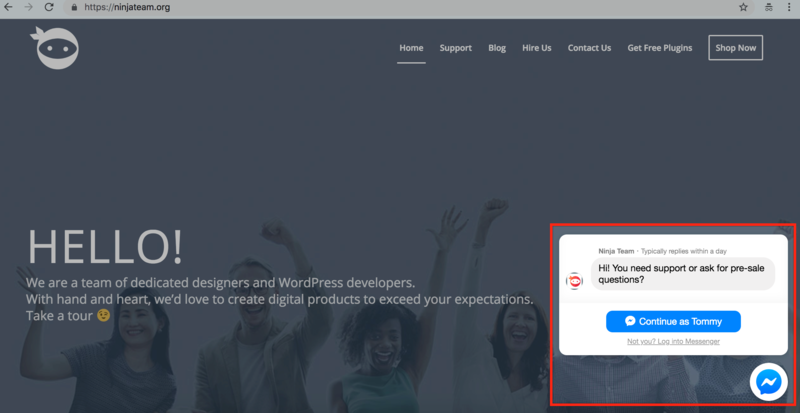 In this article, we have rounded up 7 best WordPress coupon plugins for the purpose of increasing sales of your eCommerce website and gaining website traffic. Coupon Creator is a perfect start for those who are a newcomer in the art of the coupon because it’s the most popular WordPress coupon plugin and best of all, its free version is rich in features compared to other free plugins. 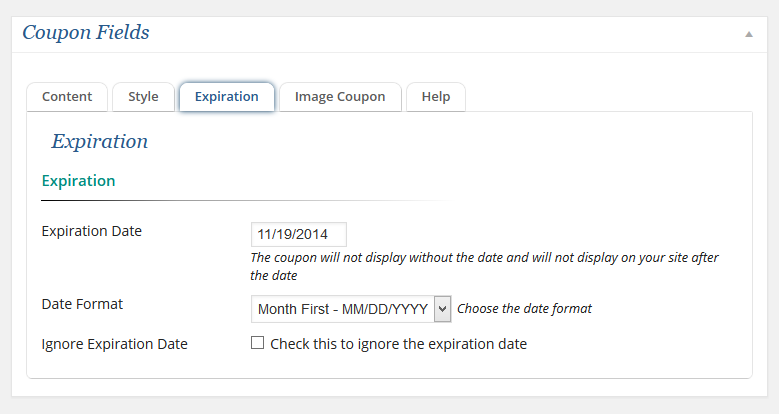 The WordPress coupon plugin will display the expiration date and you can set the expiration date for the coupons and how many times specific coupons could be used. 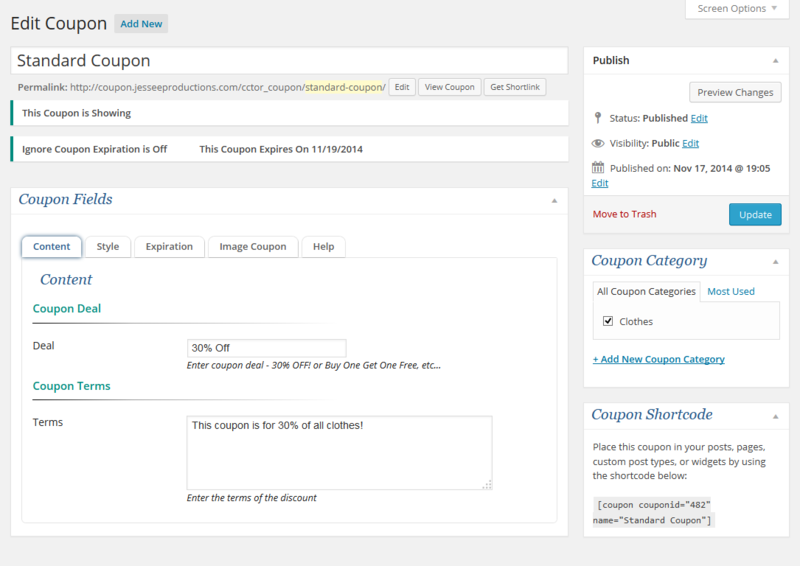 Coupon Creator allows you to publish coupons on your site and get shortcodes which you can use to insert coupons into any pages or posts on your site. 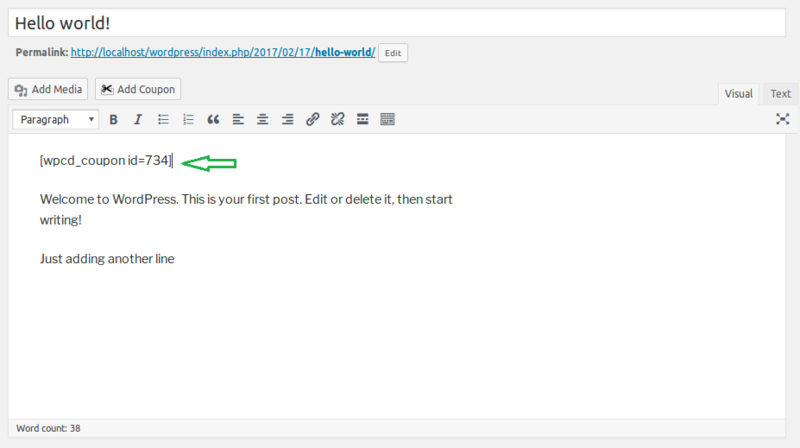 Plus, it fully integrates with WooCommerce, so you can use editor options to create WooCommerce coupons. There is also a premium version of this coupon plugin if you want more advanced features including rich customization for the help of personalizing the look of the coupons. Pop-ups are an outstanding way to capture readers’ attention and let them stay longer on your site, correct? 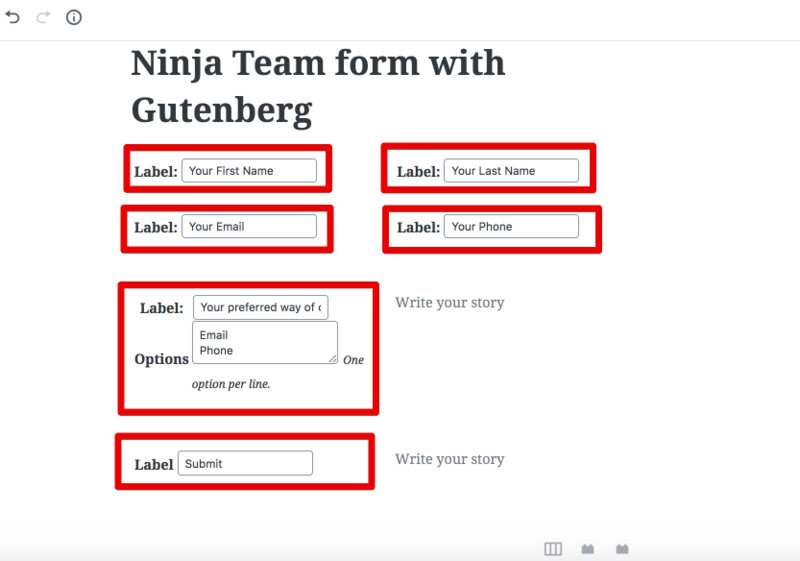 Things are the same with Ninja Popups, a fantastic coupon plugin that helps you create popups on your site in terms of newsletter subscriptions, followers, recommended or related items, etc. What’s more, you won’t be disappointed with a wide variety of customization options with 8 option panels, 60 pop-up themes and 74 animation effects to meet up your creativity and imagination. We’re sure that visitors will be utterly amazed at the overall look of your site. Plus, this coupon plugin is responsive and mobile-friendly and you can integrate your favorite social network platforms like Facebook, Twitter, LinkedIn or Pinterest to encourage social activity. 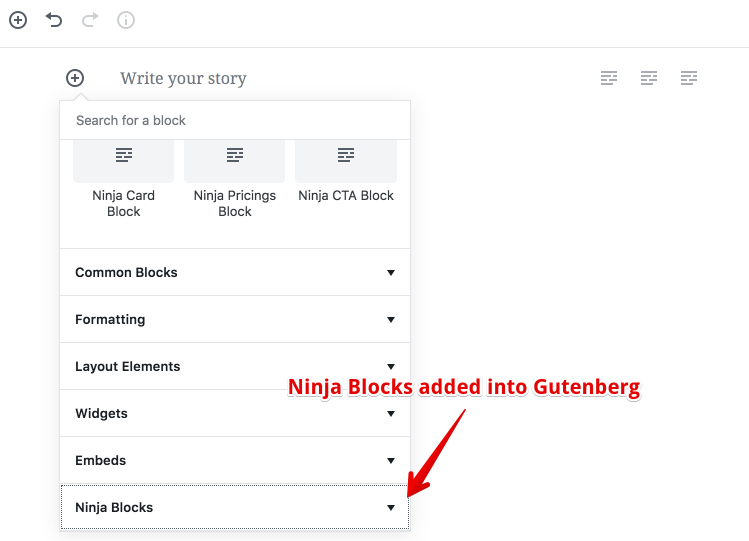 Generally speaking, Ninja Popups is not particularly designed as a coupon code plugin for WordPress, but thanks to its versatility, it’s like a jack-of-all-trades making it worth its affordable premium price. You are a newbie in the art of coupon and seeking a free WordPress coupon plugin with simple-to-use UI and feature-rich for customisation but get lost in a sea of WordPress coupon plugins. No need to get worried! WP Coupons and Deals is definitely what you are looking for. 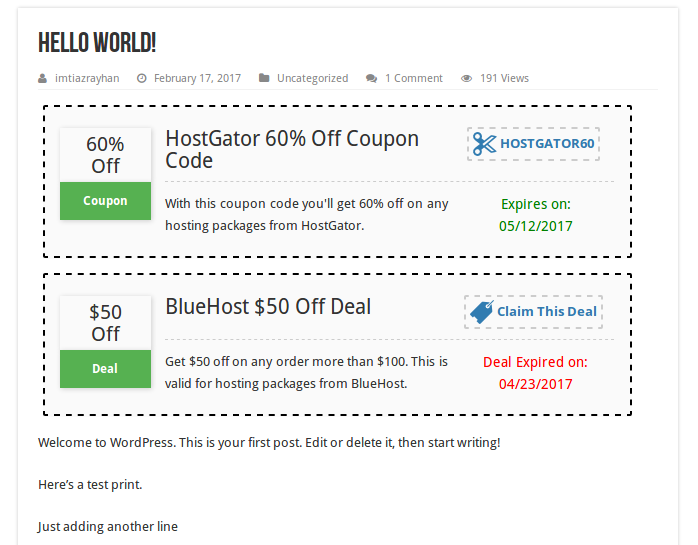 This wonderful WordPress coupon plugin is one of the best coupon plugins on the market that allows you to create coupons to display hot deals, offers or vouchers for your products or services. 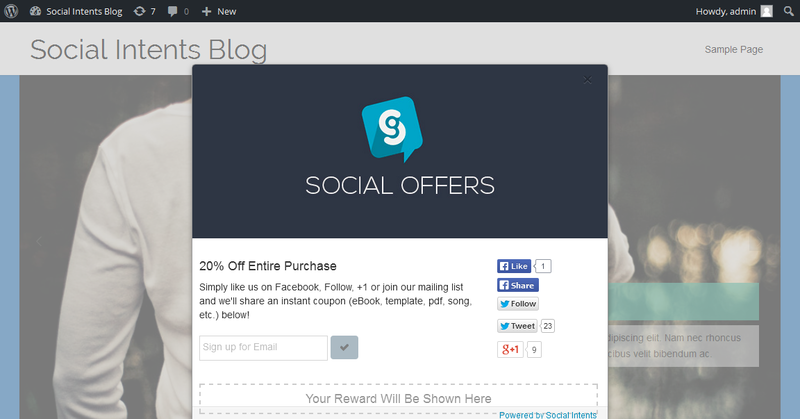 Social Share Buttons for individual coupons. Widget to show coupons and deals on widget areas. 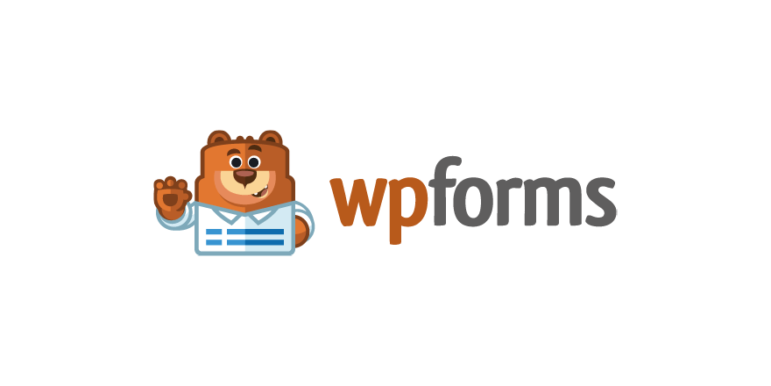 WP Coupons and Deals is pretty simple to use with fast-loading coupon generation. 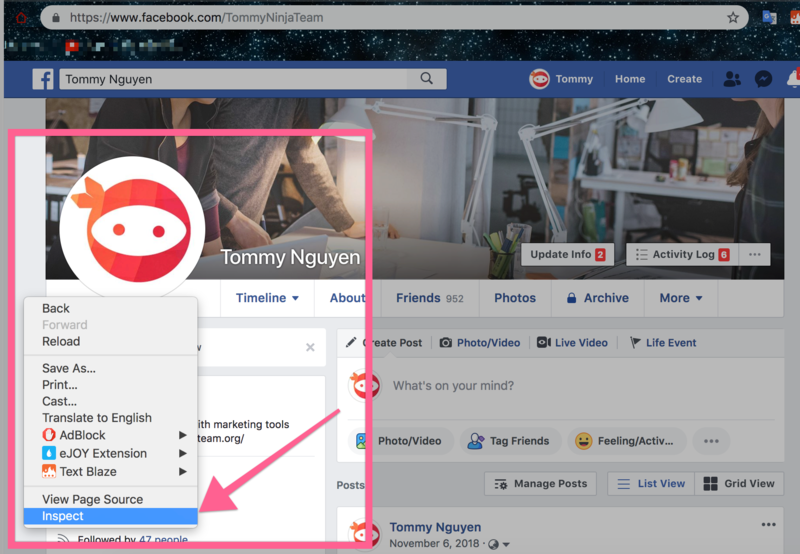 Plus, you can use shortcodes for adding coupons anywhere on your website and share on social networks by social share buttons. This free plugin also has a pro if you want additional premium features like coupon expiration countdowns, coupon templates or the ability to hide coupons. A “Lightweight and Insanely Easy” WordPress coupon plugin! How about the idea of giving our customers incentives like PDF files, music, images or templates beside coupons? Is that wonderful? Yeah, it’s indeed an amazing idea! That’s why Social Offers is come out to help you cherish and achieve that expectation for the purpose of enhancing website traffic and growing potential customers. Easy integration with MailChimp, Constant Contact, Shopify, Campaign Monitor etc. The great advantage of this coupon plugin that makes you joyful is that visitors have to “Like” or “Share” the coupons or offers if they want to receive gifts from the website. By doing this, your site or online store will be widely spreaded on social networks and the number of visitors will be on the rise as a consequence. We all know that offering customers small gifts on several occasions like birthdays, holidays or Christmas is indeed a wonderful way for customer service. But how can we carry on this concept in a wise manner? If you directly give your customers physical presents like a T-shirt, a handbag, etc., you have to pay money for both those gifts and delivery fee, and we cannot make sure that this action will encourage customers to make a purchase in the final step. So, what’s the ideal solution here? The most effective solution is that you might give your customers the online gift card to help them directly get minor or major price reduction on their chosen products. That’s why YITH Woocommerce Gift Cards is born to make your expectations come true! 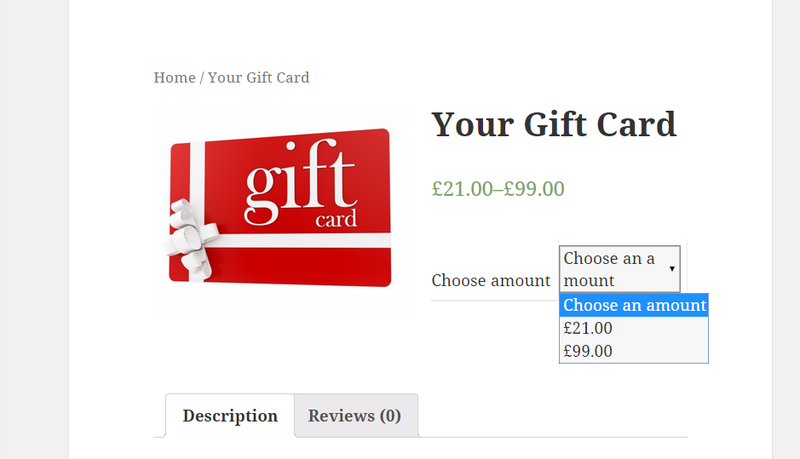 A new product type, gift-card, to configure your own gift cards. The recipient can use it as a discount code as far as there’s credit available. 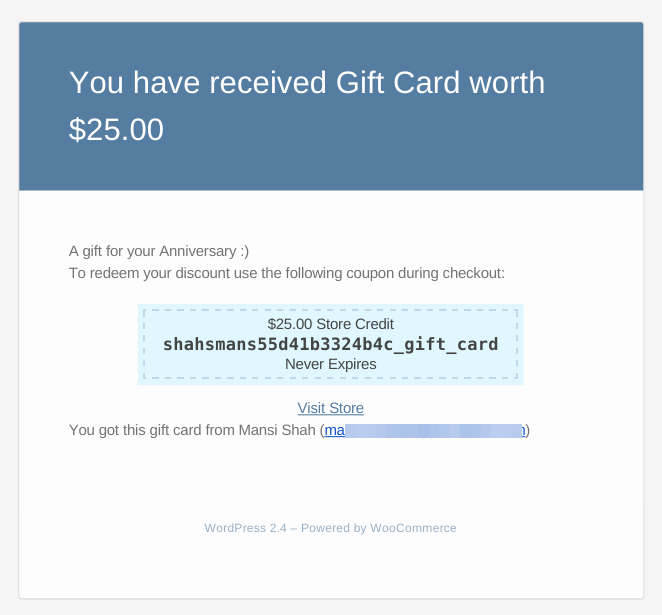 The great benefit of this plugin is that visitors will get a customized gift card via email after making a purchase. If your visitor do not feel the need to use the gift card, they probably send it to their friend or relatives as a new, potential consumer who will make a purchase and then become a loyal follower. And you definitely sell something for them! The pro version of this coupon plugin is available for you if you want to get further advanced premium features including creating physical and digital gift cards, directly sending gift cards to recipients or composing a brief message on the gift card to send to the loved one. Everyone likes to get more than what they pay for. That is why discount coupons and free delivery give such wonderful results. And WooCommerce Smart Coupons plugin makes it a piece of cake to create and manage everything around coupons, credits, and gift certificates. If you have a WooCommerce store, this amazing coupon will become your next secret powerful weapon to bring in revenue for your online store. As mentioned earlier, Smart Coupons is a powerful, “all in one” solution for vouchers gift certificates, store credits and discount coupons. Smart Coupons WooCommerce automatically gives coupons on product purchase, provides “Apply Coupon with One Click” technology and more. Overall, this amazing coupon plugin will be super duper helpful to your WooCommerce site and it will absolutely beneficial for customers and help them make the right choice. You’ve just set up an online WooCommerce store with a plethora of wonderful products and are now looking for an ideal way to appeal more customers but do not know how to do that. 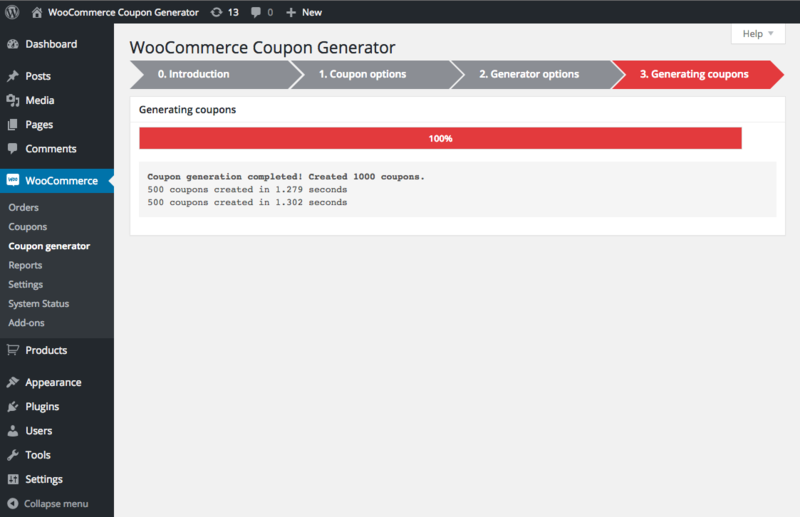 And Coupon Generator for WooCommerce makes it a piece of cake and has everything you need. This coupon plugin is incredibly useful in generating thousands of coupon codes at once and bringing in more customers to your store. As we’ve mentioned earlier, this promising plugin is able to create and produce hundreds of thousands of different coupons at the same time that is highly beneficial for yielding substantial revenues and expanding customer zones. Voila! Coupons are already generated in a simple and effective way! So if you want something uncomplicated, straightforward and highly efficient, then the Coupon Generator for WooCommerce plugin is a must-have WordPress coupon plugin and we’re absolutely certain that it will not let you down. That finalizes our round-up of 7 of the essential WordPress Coupon Plugins to help you create and manage coupons. Coupons unquestionably play a crucial part in retaining potential customers and bringing in extra revenues for your online store. Hopefully this article will help you find the find the best WordPress coupon code plugins to make your life easier and less time-consuming. 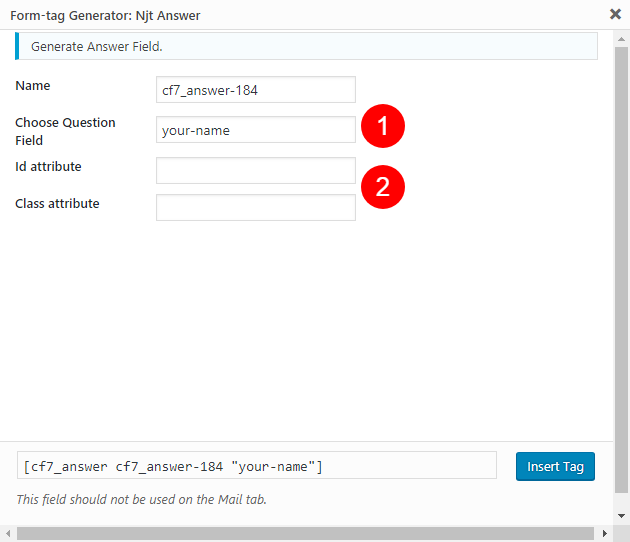 You can enter only one field name here. 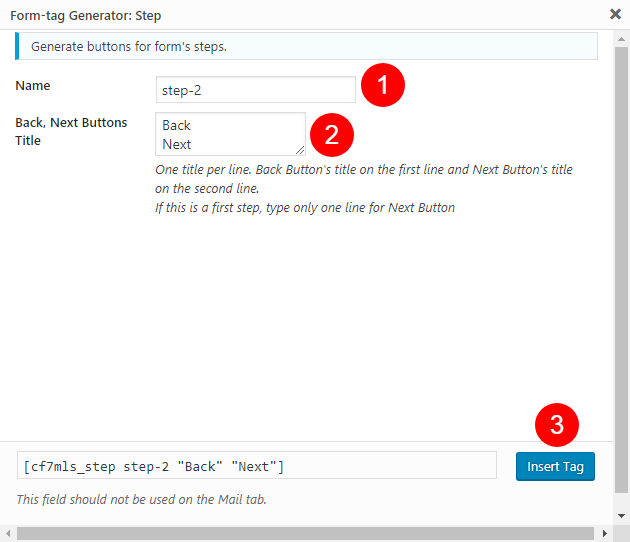 The “Back” button in the last step is automatically inserted by default. Therefore, you should change its title here. Note: Your form must have at least two steps in order to use this feature. If there’s only one step, it will look like this. 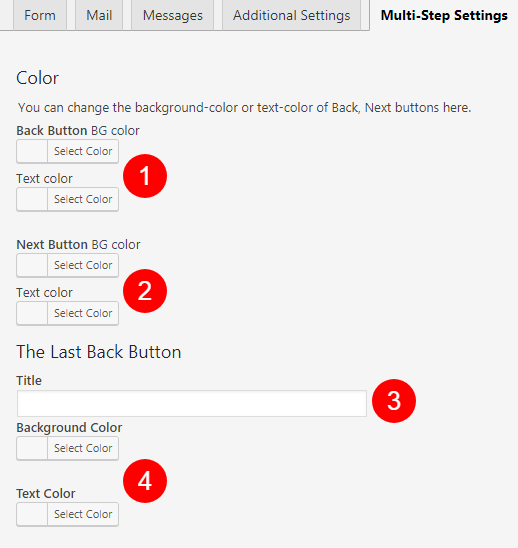 Customize text, color, border, etc. There many more premade blocks for you to discover. Take time to explore it! 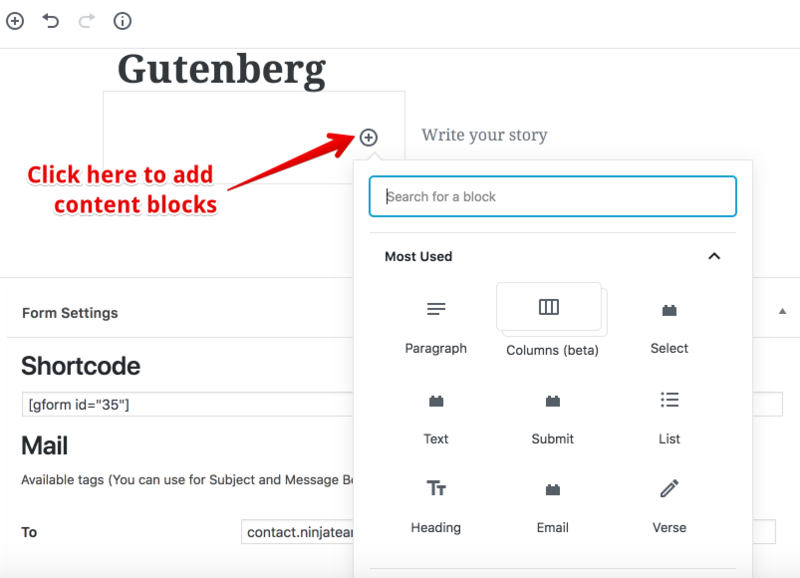 There much more blocks you can insert in your form to make it beautiful and colorful. Take time to explore it! If you love one of our plugins and/or you are satisfied with our support. You can surprise us by leaving a 5-star rating on CodeCanyon. Follow the popup, you can give a comment if you wish. You’re done, thank you so much! 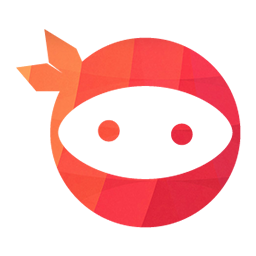 https://ninjateam.org/wp-content/uploads/2016/10/avatar_256_transparent.png 0 0 Ninja Team https://ninjateam.org/wp-content/uploads/2016/10/avatar_256_transparent.png Ninja Team2018-08-04 09:24:392018-08-04 09:48:29How to rate our plugins a 5 star rating on CodeCanyon?